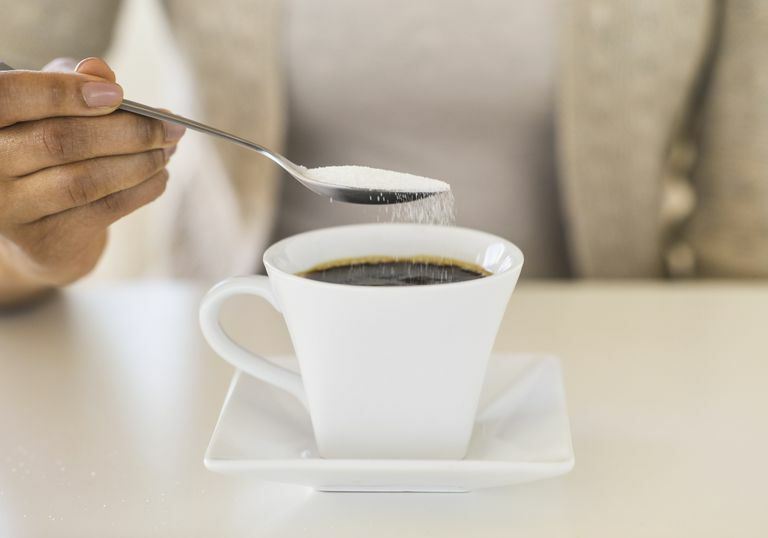 It seems that there are more and more options for natural and artificial sweeteners on the market. As many of my readers know, I frequent Starbucks for my caffeine fix. Usually, I drink my drip coffee black, but occasionally I will add half-and-half and one packet of sugar. The other day, I noticed that the sugar packets were nowhere to be found – instead I see small packets in various colors to include light blue, pink, and yellow. I closely examined these sweeteners to see if there is a difference between them. Finally finding my regular sugar packet to add to my coffee, I was off to the office. I wondered, however, if anyone has experienced an allergic reaction as a result of these alternative sweeteners. A brief search of the medical literature found an article published in 2015 by researchers in Texas, South Carolina and Nebraska on the newest sweetener on the market, called stevia. Marketed under the brand name Truvia, stevia is obtained from the plant Stevia rebaudiana, stevia is touted for its all-natural, low-calorie characteristics. In fact, Coca-Cola and Pepsi released products in 2014 incorporating a sugar and stevia mixture (replacing high-fructose corn syrup), into the colas. Since stevia is found in many foods and drinks, the safety of this natural sweetener has been questioned, especially its potential to cause allergic reactions. Stevia rebaudiana is the plant from which stevia is obtained. This plant belongs to the Asteraceae family and is native to South America, where it has been used as a food and medicine for hundreds of years. Stevia is obtained from the leaves of the plant and is highly purified to produce the sweet, low-calorie all-natural sweetener used in various foods today. Could Stevia Cause Allergic Reactions? Many plants in the Asteraceae family are known to cause various types of allergic reactions, including respiratory allergy from pollen exposure, contact dermatitis from plant proteins, and food allergies from eating the plant products. Asteraceae plants known to cause allergic reactions include ragweed (pollen allergy), chrysanthemum (contact dermatitis) and sunflower seed (food allergy). Since stevia is related to many plants that are well known to cause allergic reactions, some experts recommend that people with allergies to related plants should not use stevia. There is very little evidence, however, to support the notion that stevia causes allergic reactions in people with known allergies to Asteraceae plants. This is most likely due to the highly purified nature of most stevia products, such as Truvia. For most people, the highly purified forms of stevia don’t likely contain the allergens and antigens necessary to cause allergic reactions. On the other hand, crude extracts of the stevia plant leaves – especially those found in health food stores – have a higher chance of causing an allergic reaction in people allergic to Asteraceae plants. There is only one study in the medical literature with convincing evidence that stevia can cause allergic reactions. In 2007, a researcher in Japan reported on two infants who experienced anaphylaxis as a result of consuming stevia products, one from chewing on stevia leaves and the other from crude stevia powder mixed with water. Both infants had atopic dermatitis. The researcher then performed skin testing with stevia on 200 infants and found a high rate of positive skin tests to stevia in those with atopic dermatitis and asthma. Should I Avoid Foods Containing Stevia? It isn’t clear if people with a history of allergy to Asteraceae plants are at increased risk for allergic reactions to highly purified stevia-containing foods. However, crude extracts ​of from the stevia plant, such as those found in dietary supplements or in health food stores, should probably be avoided by people with an allergy to Asteraceae plants. Urban JD, Carakostas MC, Taylor SL. Steviol Glycoside Safety: Are Highly Purified Steviol Sweeteners Food Allergens? Food and Chemical Toxicology. 2015; 75:71-8. Kimata H. Anaphylaxis by Stevioside in Infants With Atopic Eczema. Allergy. 2007; 62(5): 565-6.